Without water there would be no life. We are made up of about 65% water and three quarters of the earth is covered with water. We can live 30 days without food but only 3 to 5 without water. 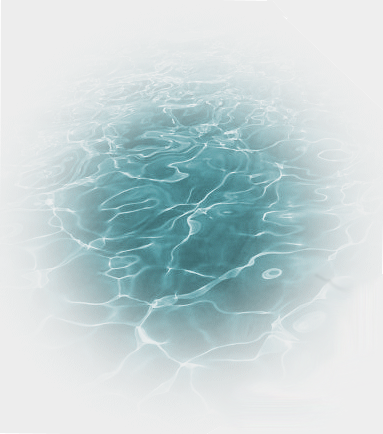 Water exists as a liquid covering the earth in oceans (97%), rivers, and lakes (.20%); as ice in the polar caps (2%); as groundwater (.80%) and as a gas in the clouds and atmosphere. Scientists estimate that ninety-six percent of all liquid fresh water on earth is underground. Yet in many places, groundwater supplies are being stretched thin and precious water is being depleted. Shallow groundwater may accumulate within 300 years, but deep groundwater may take thousands of years. 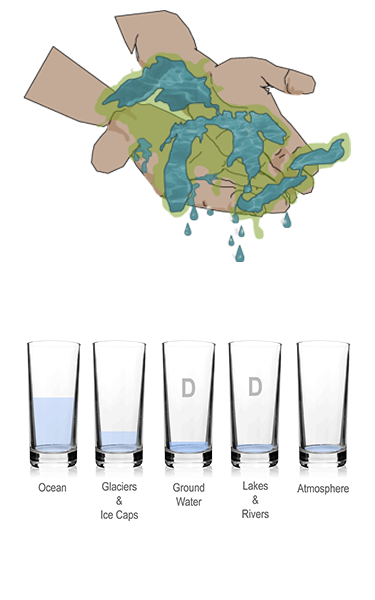 In the US, approximately half of the water used is from groundwater sources which are not easily renewed. Fresh water from the Great Lakes represents 20% of the world’s fresh water resource. One flush of a toilet is the same as a person’s daily intake in a third of the world. Only a third of the world’s population has access to safe, clean drinking water. Water nourishes our body and our soul. It can be hot, warm, cool or cold. How much water do you need to drink? How can you conserve water? Where will water be in 2050? Shower vs. bath: How much water is used? Only 3% of the world’s water is fresh water. About one-half of 1% is groundwater. Only about 1/100 of 1% of the water is in rivers and lakes. By 2025, two-thirds of the world’s population will live in conditions of water shortage, compared with around 40% today! Take 5 of the cups and label them ocean water, fresh H20 from glaciers and Ice caps, groundwater, lakes and rivers, and the atmosphere. Do a second set of cups with the same labels. Take 1 cup of water to represent all of the water on earth. Guestimate what proportion of this 1 cup of water exists on earth; distribute all of the water in the first five cups. This is your guess.Write a “D” on the cups that you think are drinkable. This time start with 1 cup of water with three blue drops in it. Remove 70& or 7mL of the blue water from the measuring cup and set aside. Pour the remaining, or 3mL into the ocean cup. 97% of all of our water is in oceans. Pour 5mL in the Glacier and Ice caps cup. They hold 2.34% of the world’s water. Take all of the rest of the water except 1 drop and fill the ground water cup. Groundwater makes up .022%of all of the world’s water. Place the remaining one drop (using an eye dropper) into the cup labeled lakes and rivers. Squeeze the eyedropper over the atmosphere cup; this is the minuscule amount of water in our atmosphere. Label the groundwater and the river and lakes with a “D”. These are meant to be drinkable!!!!! Fill a 2-liter bottle with tap water. This represents all of the water on the earth. Add 3 drops of blue food coloring into the bottle. Pour out 50 ml into a cup; this represents all the fresh water on earth. Now remove 70% of 50 ml; this represents fresh water trapped in glaciers or too deep in the ground to be used. The remainder, less than 1% of the Earth’s total water supply, is all that is left to support human agriculture, drinking and washing, and freshwater ecosystems. Record this exercise in your journal. The water cycle is critical to all living things. Water falls as precipitation and then runs into lakes, rivers, and oceans and infiltrates the ground and replenishes water sources. Plants and animals use water through capillary action. The sun’s heat evaporates water that rises as water vapor. Droplets cool, condense and form clouds, and then rain, sleet or snow. 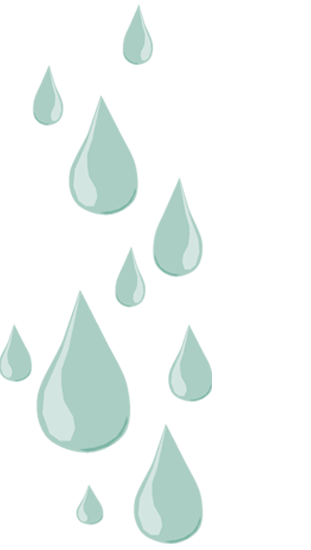 Make a diagram of the water cycle. Label the key parts. Activity 3 – be water smart! Water is everywhere. While we need water to live, we also use water to make things. You would be surprised to know how many gallons of water it takes to make a cup of coffee, take a bath or a shower, wash dishes, make a t-shirt, or produce a car. Once you begin to measure your activities and products you own and use in gallons of water, it will help you appreciate that water is critical to our survival and that we need to find ways to use less water in the things we do and the things we make. While some places ration water for watering landscapes, other countries ration water for drinking. If we look at the world as connected, we will see that water is in everything and is needed for everything and that we need to know this to make better choices about what we buy, use and consume. Make a chart of your weekly water usage and compare it with someone living on the other side of the world. People are made of water. Our brains are 70% water. Our lungs are…90% water! We are actually all 70% wet! Look at the well being journey to see that next to air, water is the most important necessity for life. The earth is covered approximately 75% by water. 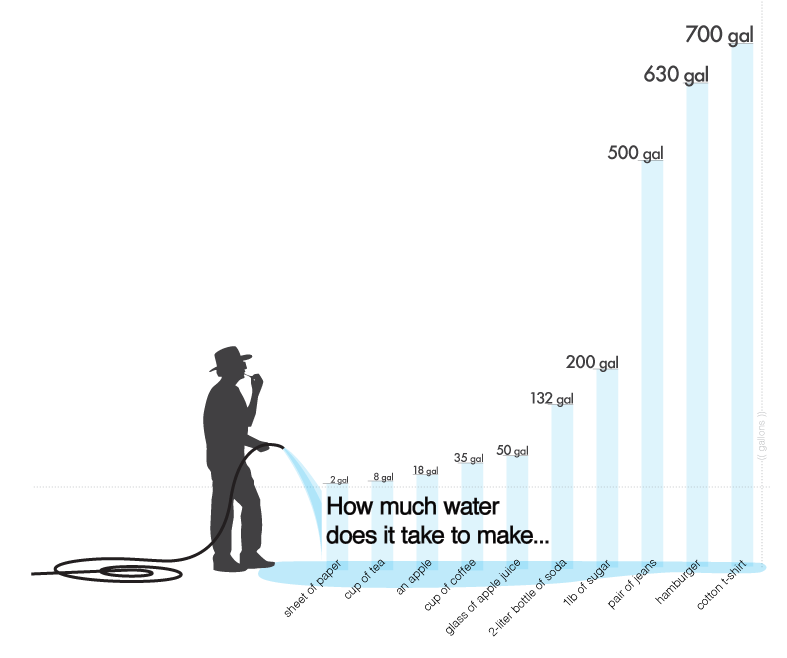 Look at the water journey to see how little of the world’s water is fresh and drinkable. What if you lived in an area where water did not come out of a faucet? We should drink eight 8 ounce glasses of water or 64 ounces of water a day. How would you find those 8 cups? How would you wash your food and clothes? How much water do we need? Yet common daily activities take many more gallons. Record these amazing amounts of water used to make things you use or wear. Think again about buying that t-shirt or that third pair of jeans! Water conservation is a complex subject. It is as much up to the individual as it is up to the community and to the government of a country. How do we conserve fresh drinking water? How much water is needed for taking a shower vs. a bath? Do we let the water run while brushing our teeth? How can we use water more efficiently? 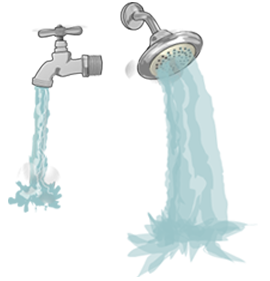 Do some research to find ways that you can conserve water. There is enough fresh water everywhere in the world. Freshwater represents 50% of all of the world's water resources. Water evaporates with the heat of the sun and rises as vapor. Plants give off water in evapotranspiration. Does Water Usage and Conservation Really Matter? Yes&Here's Why! TEDed Are We Running Out of Fresh Water? TEDed When is Water Safe to Drink? TEDed Why Does Ice Float in water? Video CHASING ICE Glacier "Calving"
Video TEDed Where did Earth's Water Come From?